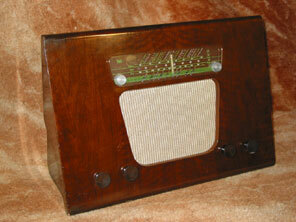 Updated versions of the baffle receivers were launched in 1949. The A130 shown above was very similar to the A124 of a year earlier. 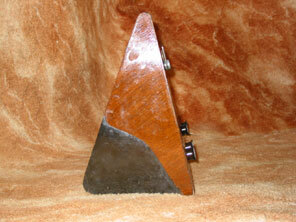 The picture below of the triangular profiled end view shows that it has retained the baffle principles though. Valve line-up was 10C1, 10F1, 10LD11, PEN45, U404. 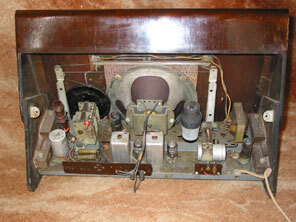 Care should be taken when working on this receiver even in its AC mains version as the chassis it "live" to the mains. This is because the AC receiver uses an auto-transformer.